The mobile App Store is a mature, saturated market. If you are a newcomer to the space thinking that there is still a chance to win, then you’re too late. That only existed from 2008-2011. Since 2012 the space has been a rapidly maturing industry. 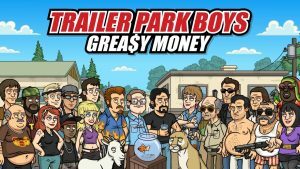 Innovation is scarce, barriers to entry are higher than ever, and the aim of hitting a top 10 grossing game is a seemingly impossible feat. The winners of mobile have been decided: they have the money, the long funnel, and the users to be able to dominate the top grossing charts. Launching a game without spending $400K+ in performance marketing or getting a prominent featuring by Apple is a death sentence for your game. Regardless of how good it is. Discovery on the AppStore is no longer free and easy. Don’t expect to get noticed unless you seriously invest in your discovery. many of the top 10 grossing games have now been on the charts for over a year. How do you compete with that? So… as a developer in the market, what do you do? 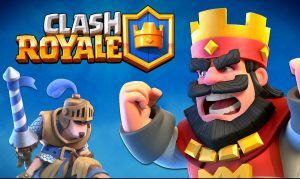 How do you deliver great new gameplay to the massive mobile audience without getting overshadowed by the largest developers? From looking at the top grossing chart for the past 2-3 years I can see 3 clear ways games became a hit. To get enough discovery on the AppStore, it is my opinion to focus on one of these 3 paths. Each are extremely difficult, but each has the potential to make it big. Feature or Bust: do everything you can to get a feature. Free to Pay your way to the top: optimize for CPI and LTV. Play the performance marketing game. Viral Sensation: get lucky and build a game that just blows up on its own. Today I’ll talk about #1, then i’ll finish off with #2 & #3 next week. It is not in Apple or Google’s best interest that the market is not really innovating any more. Apple and Google want novel games coming out every week on the AppStore. This drives customers to check the store often. These customers are also more likely to pay for new games to try out. Apple and Google work hard to fight this trend. They have full control over the discovery on the AppStore, and it is in their best interest to find games that showcase their hardware and give amazing experiences to the players. Games like the Room, Monument Valley, and Leo’s Fortune drive customers to check the AppStore each week. Players love these experiences, and want to find new exciting games. So one way to go about becoming successful on the AppStore is working as closely as possible with the platform owners (Apple or Google) to ensure the best possible featuring. Create a game that has a novel mechanic, looks beautiful, and showcases the hardware. This all sounds like an easy choice. Make a game that is good enough that Apple will feature it. But each week over 1000 new games/apps are submitted to Apple. Are you confident that you are the top of all those entries? Each week seasoned developers from consoles and AAA PC games are porting their famous franchises to the platform. Do you think you’re game is more worthy of the position than the next “Call of Duty” game for iOS? Each week indie developers are launching their games that they’ve sunk 4+ years of their life into working from their garage. Can you compete on quality with these guys? Every week there are bigger and bigger franchises that are launching, so building a new game in this space is not as simple as simply chatting with Apple or Google a few weeks before your launch. To approach this, take a look at some of the games that have been featured by Apple in the last months. Each week there is a new prominently featured game on the AppStore. They are each beautifully done and focused on creating an amazing experience. The bar is set high — Apple will only feature you if you can compete with all the other developers knocking at their door. Can your game’s mechanics and visual style compete with Threes? To find out how far you are from getting featured, start user testing your product package (icon & screenshots). Start by bringing in some external, unbiased players to test your game. Ask them to look at your icon and your screenshots, then compare these to a recently featured games. Which would they prefer to buy? If they aren’t completely sold by your game, then think again. Apple only selects the best of the best, so make sure you start off strong — build a strong product identity that showcases what is different about your game right from the beginning. Nail the icon and screenshots before you’ve committed to development. This method will help you focus on the artwork and the communication of your differentiating features. If you can’t communicate why your game is unique and worth playing within an icon and a few screen shots, customers won’t buy your product and Apple won’t feature you. But when going with this business model, its important to focus on what matters, and not stretching yourself too thin when delivering the game. http://windosill.com/ Windosill is a game that is really the best example of a visceral interface. Each action you do feels alive, organic and interesting. Aim for this feeling when creating the best aesthetic experience. Focus on simple, intuitive mechanics that promote your aesthetics over complex mechanics that focus on niche audiences or require a high entry barrier to understand the mechanics. Like Windowsill, focus on making everything feel interactive and alive. Focus on amazing artwork and aesthetic setting. These types of games should be started from a piece of artwork over a simple prototype displaying the mechanics. The story, setting and theme should come first, then mechanics afterwards. Showing potential players early your artwork and videos of your game should excite and build anticipation from players. The artwork should seek to pull players in just by seeing a small percent of the game play. When you’ve got your artwork to the point that its exciting your potential players, then it’s okay to start. 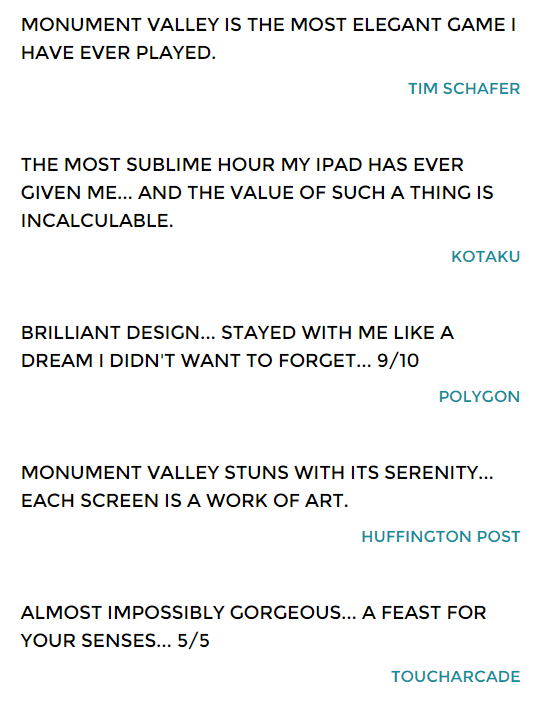 Monument Valley is a short game — but celebrated as so. The game doesn’t need to be difficult or balanced perfectly. You just need to make sure the mechanic lasts for 2-4 hours on their device. Building a long lasting game will most likely be a waste of content, players on mobile download a new featured game once per week. They like experiences that are bite-sized but don’t require hours and hours to fully enjoy. As you can see from the Monument Valley response, the audience is not turned off by the shortness of the gameplay — its seen as a positive point. Don’t attempt to build a full console title worth of content if you don’t need to. In my opinion, this path should focus on games that are paid, not free. This is somewhat controversial because you could make more money if you go free, but free with in-app purchases will push to make design decisions that are bad for your overall experience. Unless you really know what you’re doing, I would always suggest to go paid. You can then focus on what will get you the feature: amazing artwork, intuitive controls, and simplicity. 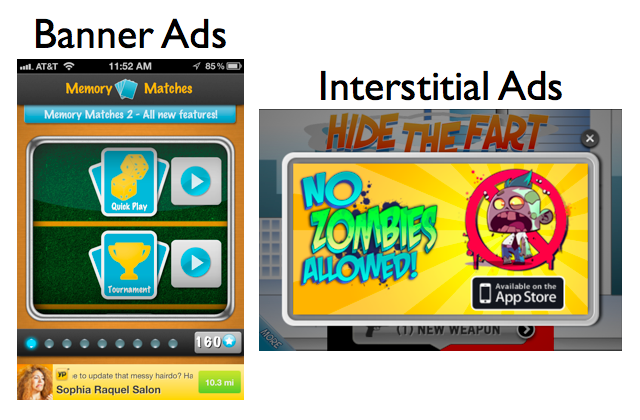 Injecting Ads, In-App Purchases or monetization tricks is not a simple path. There is still a massive audience that is perfectly okay with purchasing games. This audience is looking for novel gameplay and gorgeous artwork, so don’t go half way and deliver an okay experience so you can have your cake and eat it too by trying to squeeze every dollar out of your players. Keep focused on creating an amazing experience, ditch the free to play. Ads and interstitials will only hurt your chances of getting featured. Stay focused on the experience, not on the money. Price point for a paid game is a big debate. I would suggest going higher than you think. Featuring lasts between 1 week to 2 weeks. After this window, you will have very little discovery. Making sure you make as much money during this small window is very important. As a feature, players are far less price sensitive. If Apple has featured you, you must be worth the price! After these 2 weeks you can consider doing some promotional pricing. This may stir up downloads, but by that point your discovery will be so small. These price drops will only give you temporary small boosts. To give you some pointers on price point, I would say $0.99 is only for games that look very simple and is more of a “while riding the subway” kind of distraction (ex. Threes). $2.99-$4.99 should be for games that provide 4-8 hours of content, and look amazing (ex. Monument Valley). $9.99 to $14.99 should be reserved for games that you believe players will get a “console-like” experience from: 10+ hours of fun, amazing graphics, and have a big developer or a big brand to push players over the hump when deciding whether or not to purchase the game. Games that are paid don’t make nearly as much money as free to play games. A top grossing free game makes hundreds of thousands of dollars each day, and usually can float within the top grossing charts for 6 months to over 3 years (Diamond Dash just celebrated its 3 year anniversary on iOS). The typical featured paid game will struggle to make that in its lifetime. Unless you get the editor’s choice and are featured predominantly on both platforms like Threes, Monument Valley or The Room, you will be looking below $1 million in total revenue. So when developing your game, keep in mind the risk of not being featured as well as the likelihood of being able to create a profitable game. Keep your development costs as low as possible. Having a 100+ person studio cranking out paid games is incredibly risky, the likelihood of being able to crank out hit after hit at a fast enough pace is very, very slim. Which is why most major developers have moved to free to play. Also consider whether a full “games as a service” model works for you. Launching a game, then updating it each month is a big cost. Testing and resubmitting always takes far more time than you think it should. Ensure that the cost of updating your game as well as the amount of hassle to update the game each month is actually worth it to your bottom line. These types of games can be launched then updated only when necessary. Free to Play games are more likely to be updated on a monthly basis. Publishers have been fighting for a place in the mobile market for awhile. Publishers made a lot of sense during the console era. During this era they handled communication & certification with the platform owner (Nintendo, Sony). They managed publishing and distribution of your game (shipping the physical package). They had the marketing budgets and contacts required to ensure your game was discovered by players everywhere. But mobile doesn’t need that. Distribution is free, you can sign up for an account for $100/year to publish with Apple. Marketing and discovery is mostly handled by Apple if you aim for featuring. Certification is all done through apple review. Yet still there have been a few bigger publishers that have grown over the years, most notably is Chillingo. Publishers take between 10% to 30% and offer some help with discover-ability. They usually help mitigate conversations with the platform owners (ex. Apple), can provide support with performance marketing, and sometimes have a sizeable cross-game network to push players from one game to another. However, you don’t need a publisher to get a contact at Apple or Google. Getting a developer contact at either of these companies is relatively simple, and just requires a little bit of networking. From here, keeping in close contact with them and sending builds and getting feedback from them is usually not difficult and provides great value. It’s in Apple and Google’s best interest that indie developers can work with them. It’s in Apple and Google’s best interest that they have direct communication with developers and that they can identify the best games coming up the pipeline as quickly as possible. Publishers can help out with discoverability by doing some performance marketing. However if you’re going for a paid game, performance marketing is ineffective. Its more than likely that a publisher will not invest money into performance marketing unless the CPI to LTV equation works. I’ve never seen this work for a paid game. Most publishers never agree to a minimum marketing spend or a minimum users delivered for this reason. You will get the most amount of users from featuring from Apple, so you may as well focus on them. Also many publishers can deliver a ton of users using cross-game networks, but rarely are these users very active or engaged in the game. Publishers biggest value is to provide consulting and comments on your game while its in development to help you launch it with the best chance of featuring. So if that value makes sense to you, then get a publisher. If you’re already a competent mobile developer that is comfortable with networking with Google and Apple, a publisher is not the best path. This goes counter to the previous point. You have a lower ceiling when building this type of game than a free to play game. However, you’re still competing with thousands of other developers each week to catch the attention of Apple, and ultimately the customers. You need to create a game that beats out all other developer’s games by at least some measurable margin. If you miss this mark, even by a little, you risk getting minimally featured or not featured at all. When this happens, all costs up to this point are sunk: all that time you spent developing the game, marketing the game, obsessing over the design and experience is completely worthless. Your game will drop to the bargain bin basement of the AppStore, and is never to be seen by the masses. This is the most difficult part about this mobile market, and the industry as a whole. We are caught in a massive arms race between thousands of game developers. Each developer is seeking to one-up all others to inch themselves closer to this featuring which is absolutely critical for success. Amazing games each week drop to the bottom for the only reason that there are just too many developers attempting this business model. Too many developers are focusing on paid, aesthetically focused games that Apple and Google really have their pick of the litter. In the end the cost of development, and the barrier to entry will continue to rise. If you choose this path, go full out, or don’t go at all. Focus on creating a game that’s even better than threes, monument valley or leo’s fortune or don’t release at all. 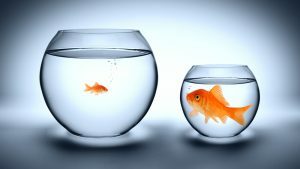 A candid article which outlines the current state of the mobile marketplace. What a mature AppStore looks like. 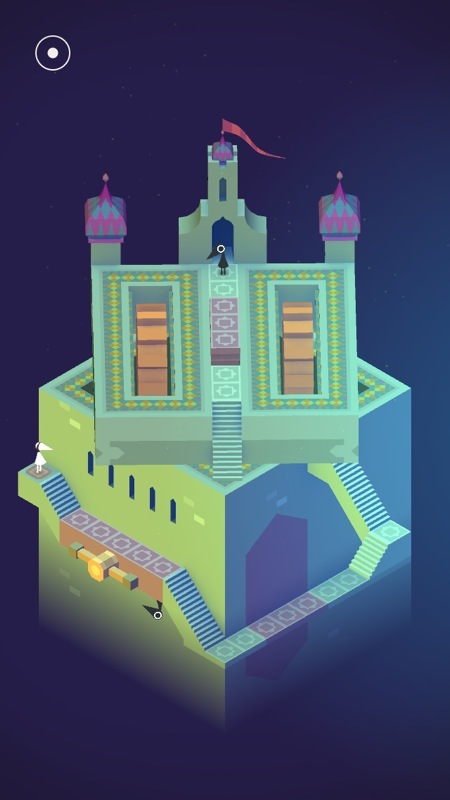 How monument valley was created & an argument that Free to Play doesn’t work for everyone.